*Must be 21 years of age or older to drink alcohol. Please drink responsibly. A simple and delicious cocktail recipe is something I think everyone should have in their recipe box. 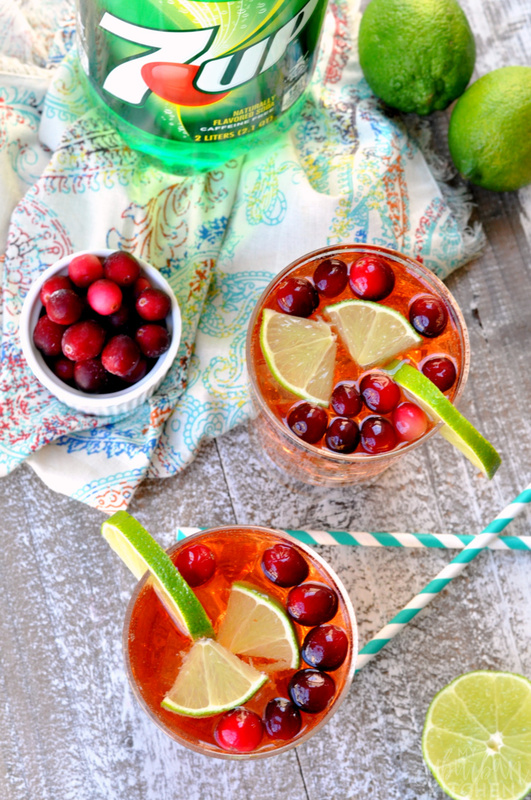 I personally love ones that are easy to make but taste amazing like a Cranberry Lime Spritzer. 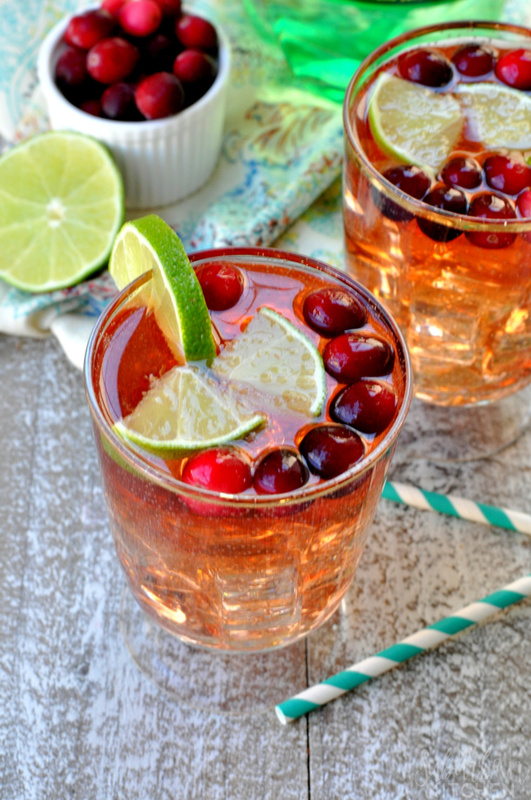 Featuring 7UP, cranberry juice, fresh limes, vodka and sparkling wine, this version is sure to be a crowd pleaser. The flavor of 7UP is so crisp and fresh making it the perfect compliment to tons of cocktails and mocktails! If you are like me, you probably remember it from college parties and family reunions where it was used to make the party punch. My Giant Landover store had 7UP flavors I didn’t even know existed like 7UP Cherry and Diet 7UP Cherry. The flavor of 7UP is so crisp and fresh making it the perfect complement to tons of cocktails and mocktails! If you are like me, you probably remember it from college parties and family reunions where it was used to make the party punch. Now, we keep a bottle at home for everything from a refreshing, icy drink to delicious cocktails. My Giant Landover store had 7UP flavors I didn’t even know existed like 7UP Cherry and Diet 7UP Cherry. I will definitely be trying both in the near future as I love a small glass of ice cold soda in the evening after work. 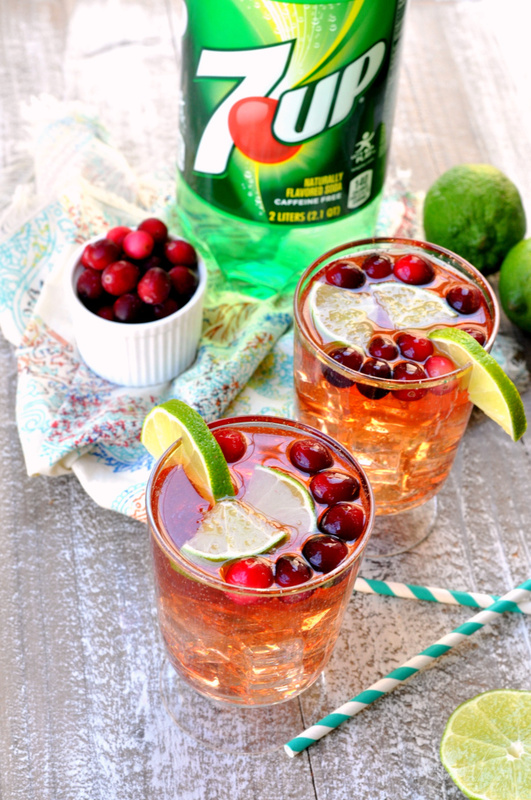 I love the taste of cranberry with citrus so I combine original 7UP with cranberries to make the perfect cocktail. Choose your favorite vodka and sparkling wine (or sparkling water if you prefer) for a refreshing and party worthy cocktail. Of course, you can skip the alcohol and combine 7UP with cranberry juice for a refreshing mocktail. 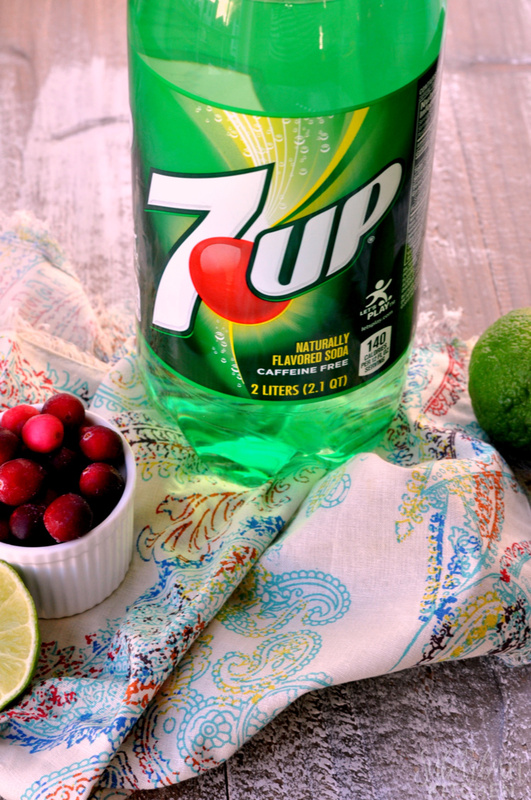 It makes 7UP the perfect choice for parties because everyone can enjoy it with a splash of the cranberry flavor. 1. In a highball glass, combine cranberry juice and vodka. Stir well to combine. Add 7UP and sparkling wine. Garnish with fresh limes and cranberries. For parties, I usually put out a pitcher of the cranberry juice and vodka mixture with frozen cranberries in it to keep everything cold. Then, guests can top off their glasses with the 7UP and sparkling wine when they are ready to enjoy their cocktail. If someone wants a mocktail, it is as easy as cranberry juice with 7UP. Be sure to visit your local Giant Landover (known as Giant Food where I live), Stop & Shop or Giant Carlisle store to pick up 7UP for your next party or just to keep around the house for a refreshing drink. Their websites also have tons of great recipe inspiration ideas. Also, make sure to check out Savory Magazine in the “New Flavors” edition until 3/30 to save $1.00 when you buy two 7UP 2-Liter bottles. In a highball glass, combine cranberry juice and vodka. Stir well to combine. Add 7UP and sparkling wine. Garnish with fresh limes and cranberries. This sounds and looks deliciously refreshing! Thanks for sharing on the What’s for Dinner link up! Hmmm…. that sounds so refreshing. I am sooo ready for summer! Thank you for sharing at Dishing It & Digging It! This looks so light and refreshing! I would love to drink this or serve it at a get-together!